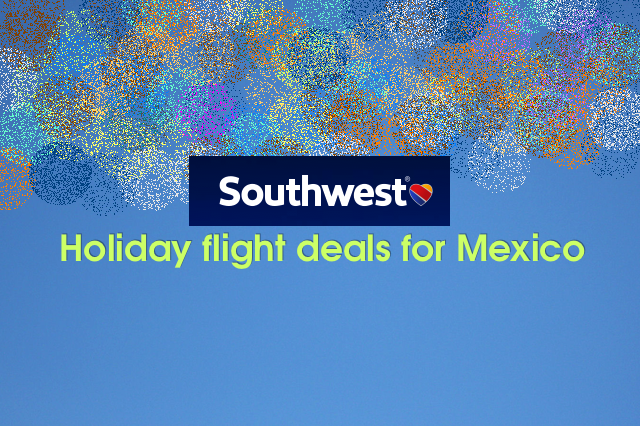 SouthWest Airlines has below special holiday flight deals for Mexico. They are all one way fair but they seem like a good bargain. Direct link at the end of the deals list. Enjoy! Purchase from November 25 through December 4, 2014, 11:59 p.m. for the respective time zone of the originating city. Travel January 8 through March 6, 2015. Blackout Dates Apply: sale fares to international destinations blacked out February 13 – 16, 2015; sale fares from international destinations blacked out February 20 – 23, 2015. Points bookings do not include September 11th Security Fee of $5.60 per one-way flight. Points bookings do not include any additional international government taxes and fees.